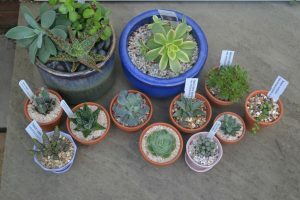 and this doesn’t even include a bunch of semps and sedums I bought too! I have had my eye on these for ages, they are forever popping up on social media. 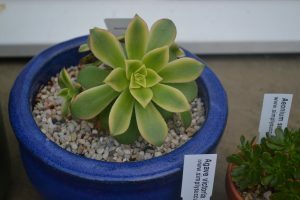 So when I saw this lovely specimen, grown down in sunny Cornwall by Penberth Plants, I had to have it – only a fiver too, so reasonable for a succulent of this sort of size in the UK. Unfortunately it got a bit bruised on the way home, but never mind, it will grow out eventually. I planted it up in this low wide blue pot, as I am hoping it will eventually fill the pot, and I like the bright blue against the green and yellow of its leaves. 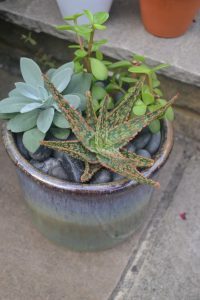 I usually advise against planting succulents up in too large containers in the hope they grow into them, so I will have to be really careful how I water this one. I also need to get it in the sun so it develops the fabulous pink to red tints on its leaves. 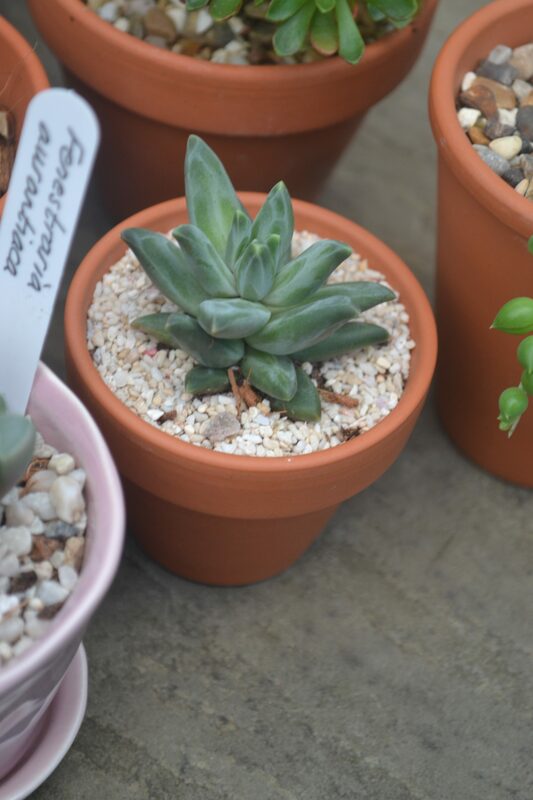 Another succulent on my wishlist ticked off. 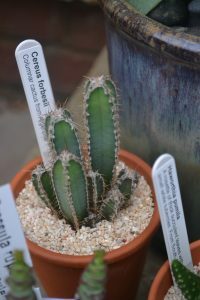 Baby Toe cactus are quite hard to find in the UK. I think they are so weird but I like them. I have planted it up in this ceramic pot and at this point I am just hoping I don’t kill it – wish me luck! 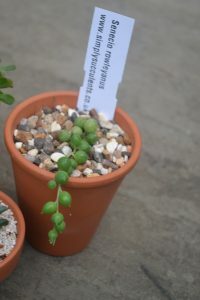 Yet another succulent that I have wanted for ages and have struggled to find as a small plant although this young specimen is a bit too wee for my liking. Ideally I would have wanted one a bit fuller than this but hopfully it will put on a bit more growth before the end of the season. Another succulent I am going have to be cautious that I don’t kill, but one I am super stoked to have in my collection. 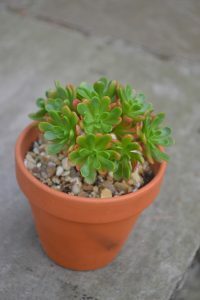 This is a dwarf Aeonium – so cute! Could you resist? 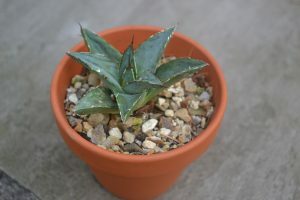 I have wanted an Agave for a long time. I actually want to find a relatively hardy one to grow outside all year if possible, but in the mean time it will be fun to grow this baby into a beauty. 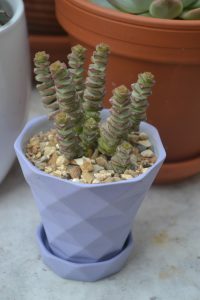 Another weird but wonderful looking succulent. I think in time this will have to be moved from this little lavender pot, but for now I think it looks great, so soft and pretty! 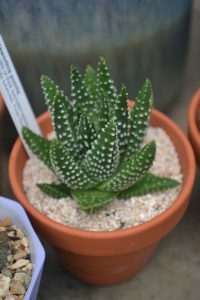 Stopping at a nearby garden centre to stock up on terracotta pots for my already numerous succulent purchases, I happened upon this amazing Aloe and I fell in love instantly. The colours, the textures.. ahhh! So I bought this gorgeous pot to go with it. 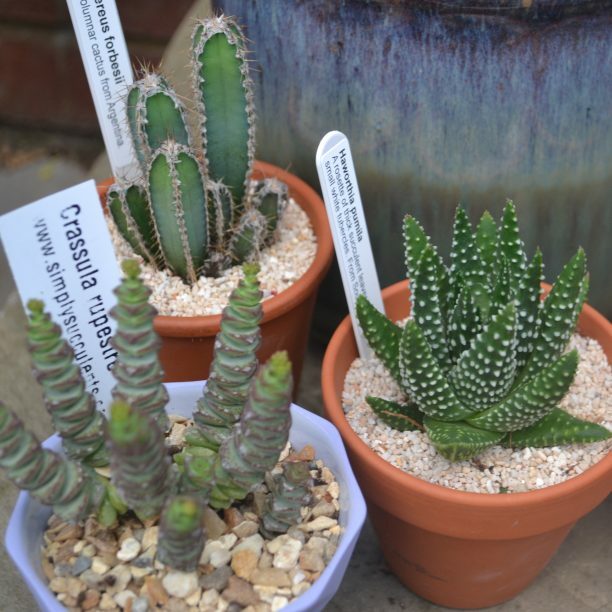 Until it grows to a size where it can dominate the pot by itself (which might be a few years off) I have planted it with the Portulacaria afra and Senecio cephalophorus because I think they look great together. But the Aloe is the star for me. 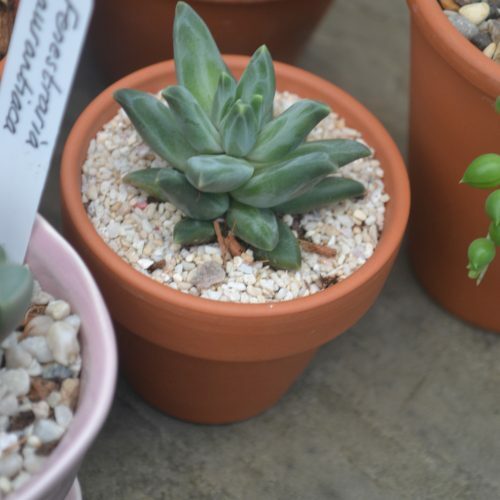 I love these chubby Haworthias! 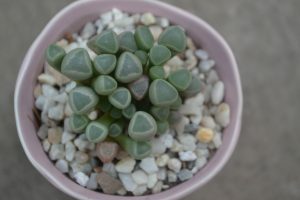 They are so satisfyingly plump and I love the white markings too. 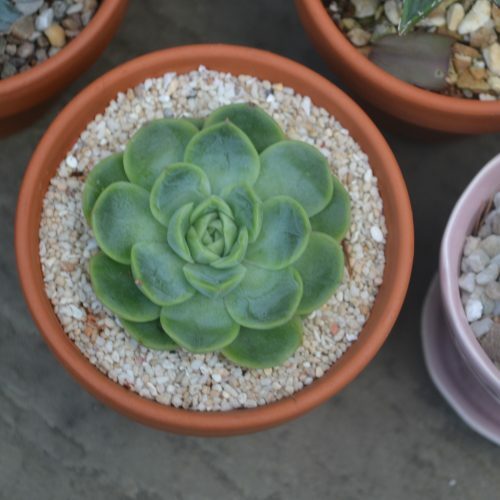 Wilkos sell succulents and there is one dangerously close to my office. I usually manage to resist temptation, but sometimes you find some real gems, like my Kalanchoe daigramontiana that I got a few months ago. 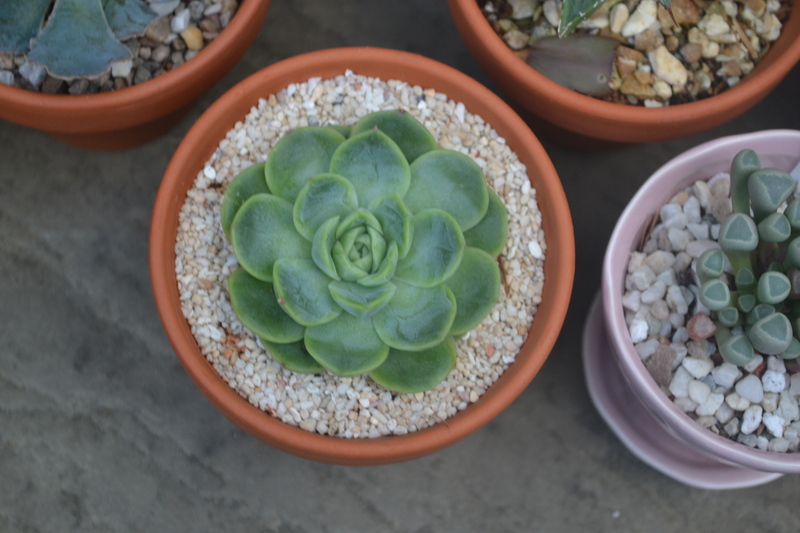 This month I went in and found a lovely ruffled Echeveria, an adorable Pachyphytum/Pachyveria (below right) and this broad flat teal Echeveria (below left – no idea what cultivar it is!) which is fast turning into a new favourite. Wish I knew the cultivar.. anyone know? ?